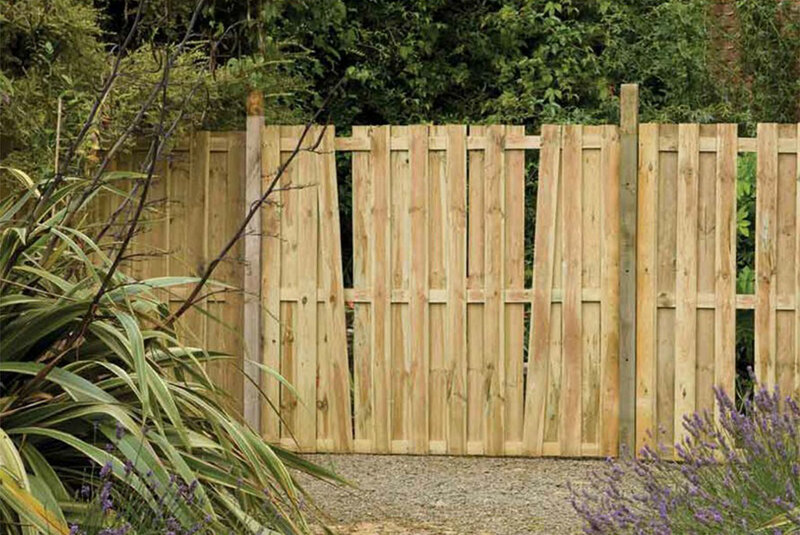 Every wooden fence has a lifespan and that can, unfortunately, be shortened by a number of factors. If the fence has been damaged by the elements, or an errant football, or has been in constant and direct contact with the soil, things may rot earlier than expected. Repair is possible. If a whole section of the panel is rotten, try easing it away from the supporting posts using a crowbar. Gently open up a gap between the post and panel to expose any nails. Then you can simply hacksaw through the nails to allow you, and a friend, to lift the damaged panel away. It can then be repaired by sliding out individual slats and replacing with new. Remember to hammer down the nails left in the post or pull them out using pliers before refitting the repaired panel. 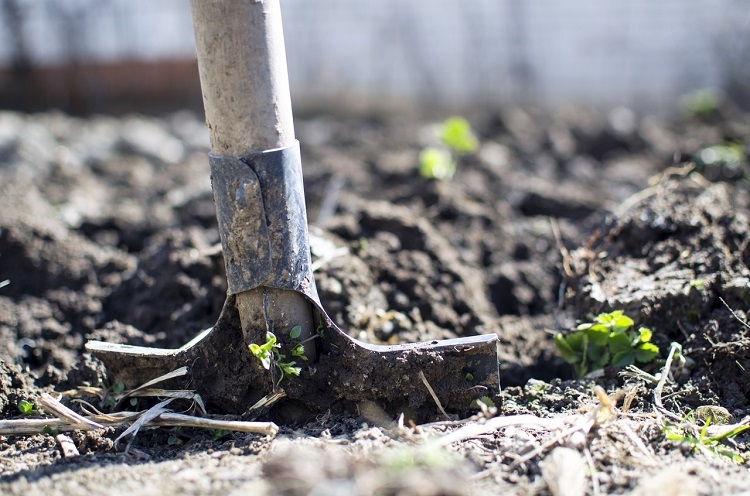 Last month, we caught up with Neil Wilcox, Information Officer at Thrive, about how gardening can help people from all walks of life build confidence, skills, and relationships. We look at some of the work that Thrive does, how you can get involved, and how social and therapeutic horticulture can benefit everyone. Thrive is the leading charity in the UK that uses gardening to bring about positive changes in the lives of people who are living with disabilities or ill health, or are isolated, disadvantaged or vulnerable. This is known as social and therapeutic horticulture (STH). 2. Why was Thrive set up? What was the driving force behind it? We caught up with Ken over at People and Gardens to find out more about their work and some of the projects they are involved with, how gardening can provide substantial health benefits, and who they work with within the community for their projects and wider aims. Take a look at our interview below. 1. People and Gardens was set up to help people with learning disabilities and mental health issues to develop work and social skills. How does your work benefit them? The work enables them to achieve participation, presence, competence, choice and respect, which leads to the participants taking control over their own lives, and to feeling that they are valued members of society. Recently, we caught up with Mandy Barber from Incredible Vegetables to find out all about how she started growing vegetables, how she has become one of the main growers of ulluco in the UK, and to get some beginners tips to help us all become expert vegetable growers. Take a look at our interview below. 1. 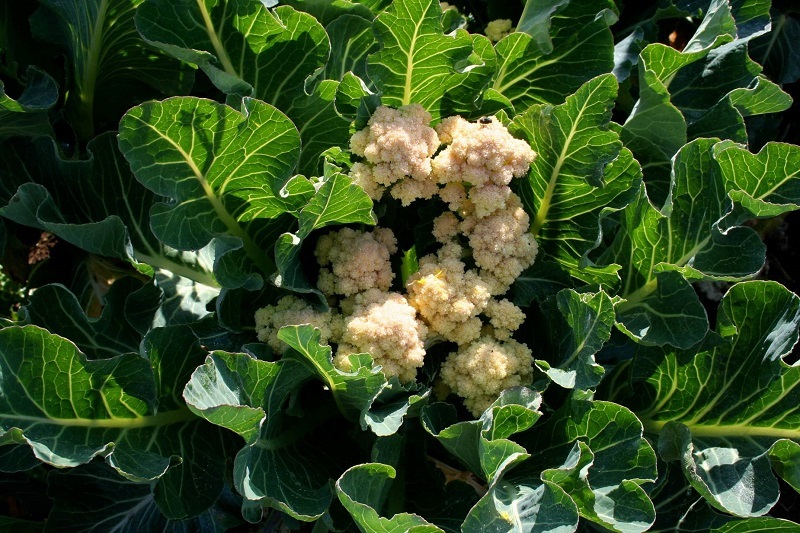 You and your partner set up Incredible Vegetables as an experimental vegetable growing project and now sell perennial vegetable plants and seeds in your online shop. When you started, did you ever expect to sell so much? This problem is easily corrected with a little know-how! 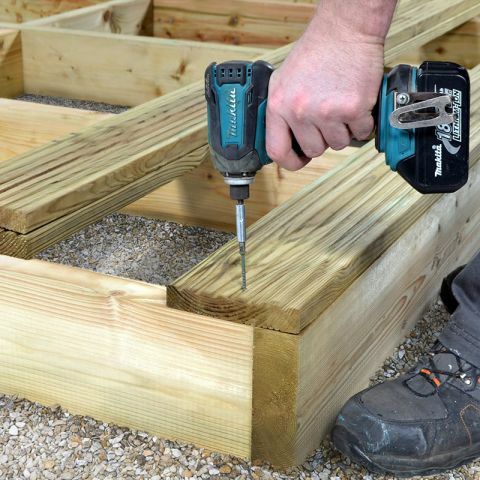 Firstly, use one nail at each end of the decking to to secure it to the end joists. If the deck board bows towards the last board laid and fastened, carefully force a chisel between the two boards and pry the bowed board outwards to the correct position, then nail or screw into place. If the bow curves outwards, away from the last board, you will need to drive the chisel into the joist on the outside of the curve until it is in the correct position and then nail or screw into place. Before laying decking boards, it is important to get the decking sub-frame exactly right to ensure that you will have a firm and easy-to-maintain deck. Here are a few simple steps to take, in order to make sure that your garden decking is structurally sound and will last for years. Whilst it is always great to have the inside of your home just how you want it, there will come a time when you will also want to start to make the most of the outdoor space that you have. One great way to do this is to have some decking installed so that you can relax in the sun, have friends over for parties and barbeques or simply just revel in the envy that your friends show when they have seen it. Having decking installed will not only allow you to make the most of your outdoor space but it will also add to the value of your home when you one day decide to move on to pastures new. However, once you have made the decision to get your hands dirty and install some great looking decking, you will realise that it is not as simple as just picking a colour and deciding where to put it. 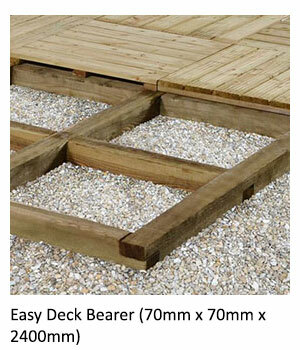 You will first have to decide on what sort of decking material you are going to use. Before you lay the decking, we would recommend that any remaining work to the sub-structure, such as applying protective finish, is completed before starting to lay the deck boards. Take a look at our guide on building the sub-frame. The deck boards we supply are 28mm x 120mm in size which are the most desirable type of decking as they are less prone to sagging, warping, twisting or cupping. The exact size of the deck boards is dictated by the area that you are looking to cover with decking, the joist span and the layout / pattern that you choose for garden decking project. Before fastening any boards, lay out all but the last few boards on the joists, this way you will be able to see the final effect and make changes where necessary for the best appearance. In time wood that is left untreated becomes that familiar silvery-grey colour with a rough, bark-like surface, as the grain gradually opens and lets in moisture. But be warned, wait this long and it may be almost impossible to reverse! Instead, when timber is around one-year-old, sand off any old, flaking stain or dirt from the dry surface and apply an annual coat of good quality wood preservative. This will enrich and revitalise the surface of the wood just like a skin moisturiser. They also contain anti-fungicides that will help prevent rot, mould and lichens. There is a wide choice of timber care products, some combining treatment with a coloured wood stain for extra impact. Many homeowners dream of having a water feature in their garden; this can be a fountain, pond, waterfall, or even a stream. No matter the type of feature, water is a beautiful and striking addition to any garden. There are a number of DIY water feature kits on the market to choose from, as well as any number of other DIY water feature ideas to create from scratch. The DIY water feature can range from a very simple project to a very elaborate scheme. No matter their simplicity or their extravagance, DIY water features can be quite soothing and eye-catching, especially when they have some form of running water. DIY water features can be relatively inexpensive and require just a bit of elbow grease or they can be quite expensive and require a lot more sweat equity. Below are two examples of DIY water features that are both practical and intermediate in difficulty. They do take a bit of elbow grease but will produce a water feature that will be the envy of the neighbours.